As I mentioned the other day, the website sponsored by a coalition of civil rights groups was threatened by prosecution if they didn't take down certain code files. CodeIsFreeSpeech.com was put up after the anti-gun Attorney General of Washington State and a host of fellow traveler AGs went to court to suppress computer code assembled by Defense Distributed. These groups were not a party to that lawsuit and were not enjoined from distributing them on the Internet. It turns out that the threat of prosecution came from New Jersey Attorney General Gurbir Grewal. Grewal had demanded server company Cloudfare delete CodeIsFreeSpeech.com's files or charges would be filed for them being in violation of a NJ state law. Grewal had been recently successful in getting a lawsuit against him by Defense Distributed filed in the State of Texas dismissed on the grounds that it should have been brought in New Jersey. Mind you, that the dismissal was not on the merits of the case but rather merely whether a US District Court in Texas had jurisdiction. He should have remembered the old saying, "Be careful what you wish for", as suit has now been filed in US District Court for the District of New Jersey. 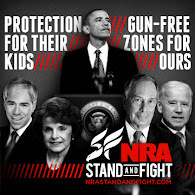 Now he will not be facing just Defense Distributed but also the Second Amendment Foundation, the Firearms Policy Coalition, the Firearms Policy Foundation, the Calguns Foundation, and CAL-FFL. The individual plaintiff in the case is Brandon Combs who is executive director of the Calguns Foundation and president of both the Firearms Policy Coalition and the Firearms Policy Foundation. So now Grewal is not facing merely one plaintiff but six institutional plaintiffs and one individual plaintiff. The plaintiffs have filed a suit seeking declaratory and injunctive relief. Moreover, at the same time they also filed a motion for a temporary restraining order and a preliminary injunction. They are asking the court to declare the New Jersey law in violation of the First and Second Amendments, the Commerce Clause, and the Due Process and Equal Protection clauses of the 14th Amendment. Moreover, they want the court to declare Federal law preempts the New Jersey law and immunizes the plaintiffs from prosecution. 3rd. District. Judges appoint by Democrat President - 10. By Republican President - 12. 5 seats empty. This could go either way. I could not find the political affiliations of the Judges. This one is going to have multiple ramifications! Shorty Shotgun Shells - Worth A Try?